Constructed with box section aluminiumstiles, and rubber inserts to prevent movement, aluminium and timber cross bars give greater strength and weight saving. Fitted with non-stop rot proof combi-board. 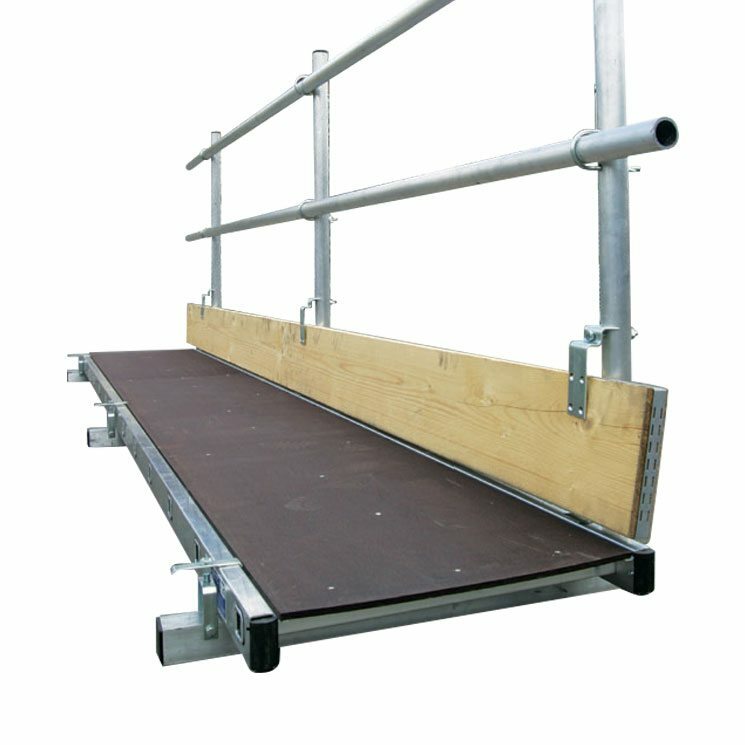 A handrail system is also available to allow double handrails and toeboards.